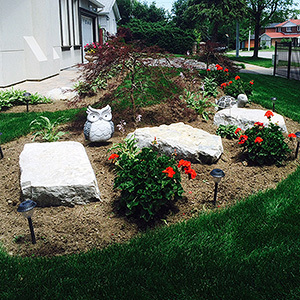 Landscaping projects are a great way to add beauty and value to your home. From low maintenance garden beds to stone walkways and patios, Kick Gas can manage your project from start to finish. 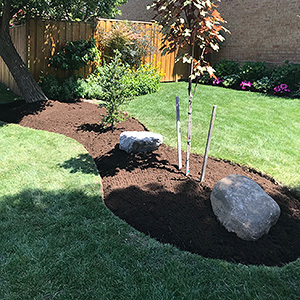 Listed below you'll find many of the landscaping services we provide for Mississauga home owners. Garden beds are ideal for adding beautiful colors and fragrances to your property. A well designed garden should have multiple varieties of plants that bloom at different times. Thus providing continuous color throughout the season. We will design your beds, select all plant materials and install them. Have an area where the grass just wont grow no matter what you do? Tired of mowing your front lawn? 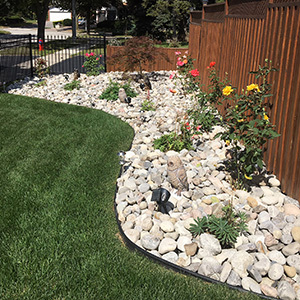 Stone gardens are a unique way to add zen to your property. Incorporated with specific plants, solar lights, trees and shrubs stone gardens can be more beautiful than a traditional garden. Add a flagstone walkway or a water feature to really accentuate the appearance of your stone garden. 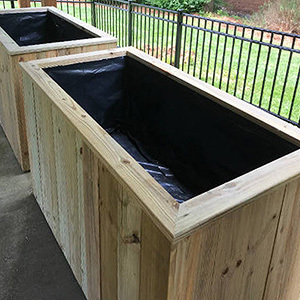 Choose from endless configurations with our planter wall block and 2x6 system. We can custom build one level or tierd beds for your flowers or vegetables. Choose from natural pine or cedar. 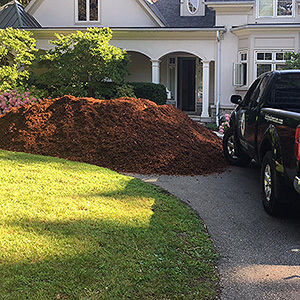 Mulch is a great way to add curb appeal and value to your home. Put away your shovel and let us beautify your garden beds with either black, brown, red, natural pine, B.C cedar or hemlock mulch. Our professional staff will calculate your mulch requirements and install it to the proper depth requirements. Not a fan of mulch? We can top up your beds with fresh, nutrient rich soil. Natural stone walkways and patios are popular choices for homeowners, but man made stone and pavers are just as aesthetically pleasing. 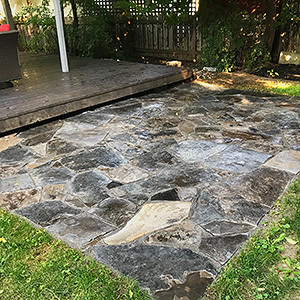 We can design your patio area, or access walkway with a variety of different stones. 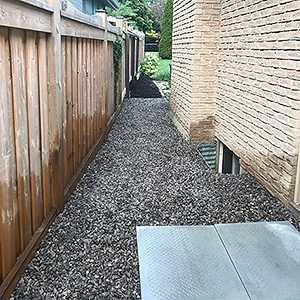 Aggregates such as gravel, pea gravel, river rock, and potato stone are great solutions for those areas at the side of the house that can't grow grass. They can also be used for decoration in garden beds, drainage, driveways and a substitute for mulch. Hedges are ideal for adding privacy or distinguish boundaries, but they are also good for blocking wind and hiding ugly fences. 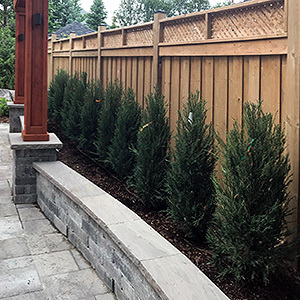 Whether you need Black Cedars for low light conditions or Skyrocket Junipers for your sunny front yard, we can assess your situation and select the appropriate trees for your hedge. From start to finish we have you covered. Trees and shrubs need proper planning and preparation before installation. Tree size, light requirements and location are very important to consider. We can deliver and install the perfect plants, trees and shrubs for your property. All of our installations are done with care to foster healthy growth and development.